PDM with two different receiving elements (chips) in TO-18 (TO-5) package have been developed by IBSG Company for detection of various gases. 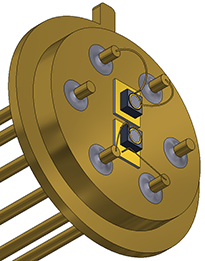 PDM includes a photodiode of series PDXX and photodiode of series PDZZ. The Company offers different combinations of elements as the technical problems require. 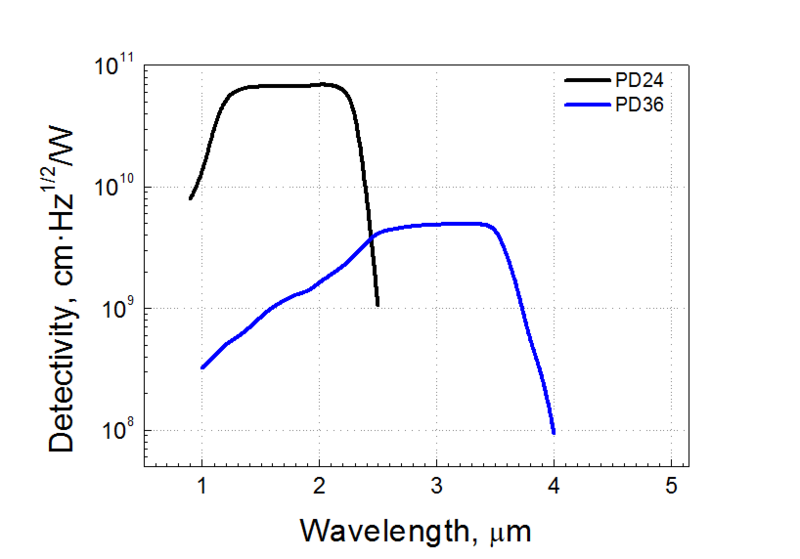 Manufacturing of multiple PDs is made to individual order. 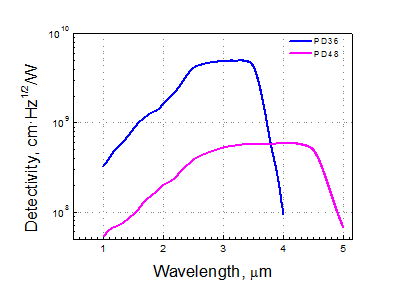 The spectral distribution of a detectivity of two-element photo-receivers PDM2436 and PDM3648 for detection of optical signals in spectral ranges 0.8 - 3.8 µm и 1.5* - 4.9 µm. 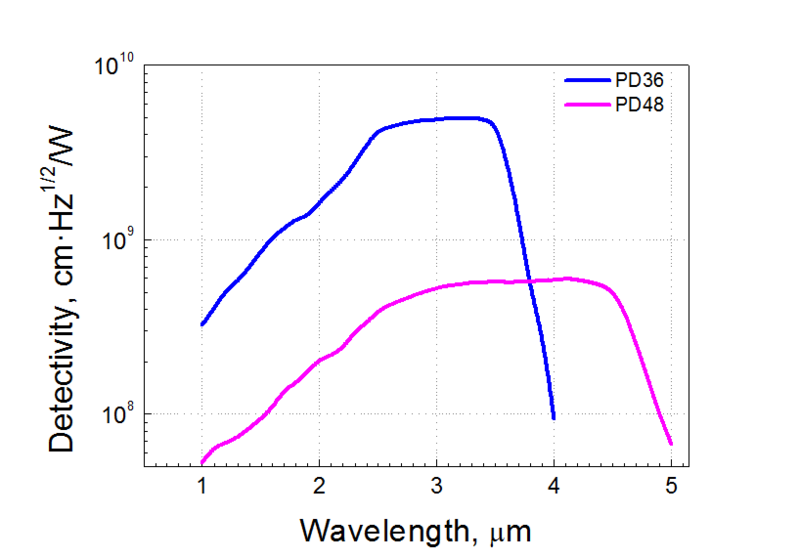 Photo-receivers PDM3648 consist of two elements (photodiode chips) - PD24-05 and PD36-05. The elements can be connected independently of each other.